Few days back, when I was visiting my parents and working on my laptop, my father started telling me about how he used to write on the stationary of his times and suddenly he was feeling very nostalgic. I couldn’t help myself from searching the net and find more about the stationery which my parents used to have during their school days. We have sleek modern stationery and latest gadgets to work on but think of those days when our parents were in school. Isn’t it interesting to think about and imagine how they used to go to school carrying those brown bags on their shoulder with takhti, qalam and dawaat in one hand. They had to write on slates and memorise everything bacause there were no means of storing or saving all the information provided by the teachers. 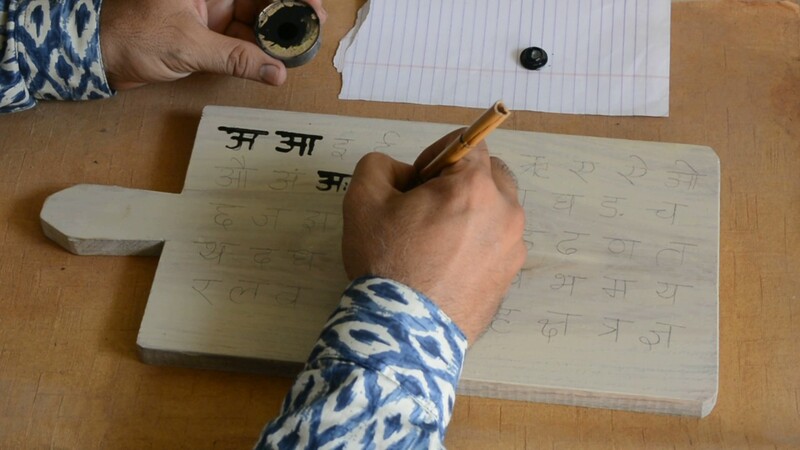 It was a small size portable flat wooden board used to practice Hindi alphabets and maths. It had to be cleaned every day with a wet cloth and coated with a paste of fuller’s earth. Fuller’s earth was an essential thing in every household. The paste was prepared in advance since it had to be used regularly. 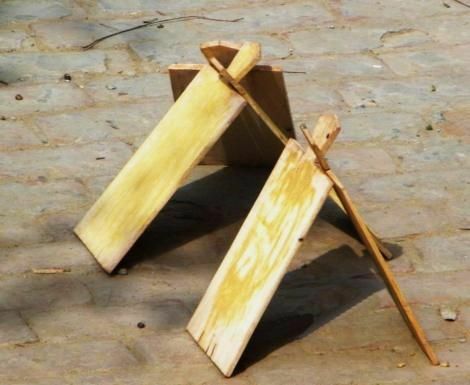 The wooden writing board or takhti was kept to dry after applying the paste. 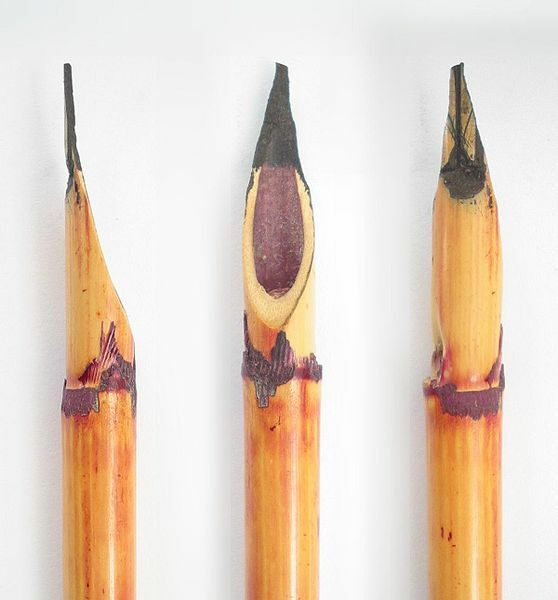 Qalam was a kind of pen made from “sentha” or bamboo. It was made by slicing the bamboo straw diagonally using a kitchen knife. It was dipped in ink and used for writing. The ink was made by dissolving “khadia” flakes (chalk/limestone) in water and was kept in a small size glass inkpot. It had a small piece of cloth or rug placed inside to prevent the qalam from hitting the bottom of the inkpot. The consistency of the ink had to be set properly so as to prevent from leakage. Dawaat or the ink pot had to be carried very carefully as the ink might get spilled and there were chances of the books getting spoiled. Then came the writing slate. It was a piece of slate encased in a wooden frame. 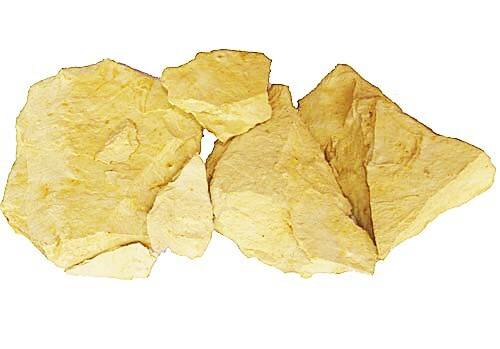 A piece of cloth or slate sponge was used to clean it and slate pencil or chalks were used to write on it. 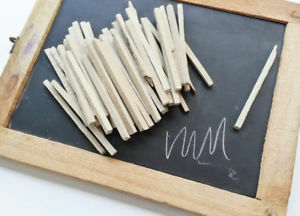 The slate board and slate pencils were mostly used to practice maths at home. The bag that children of those times used to be very different than what we have today. They were rectangular in shapes with straps to carry it on shoulders. They were brown in colour and were made of canvas. They had a big pocket in front and contained three to four notebooks. Now, when I look at the stationery used by kids, it is strikingly in contrast with the stationery of those days. Coloured, sleek, modern and branded with prints of latest cartoon characters and available in almost every colour. We can even get them customised as per our choice. The bags of those times were very light in weight as opposed to the heavy bags which children carry these days. These days’ pens and pencils are available in different colours to highlight the work done in notebooks. 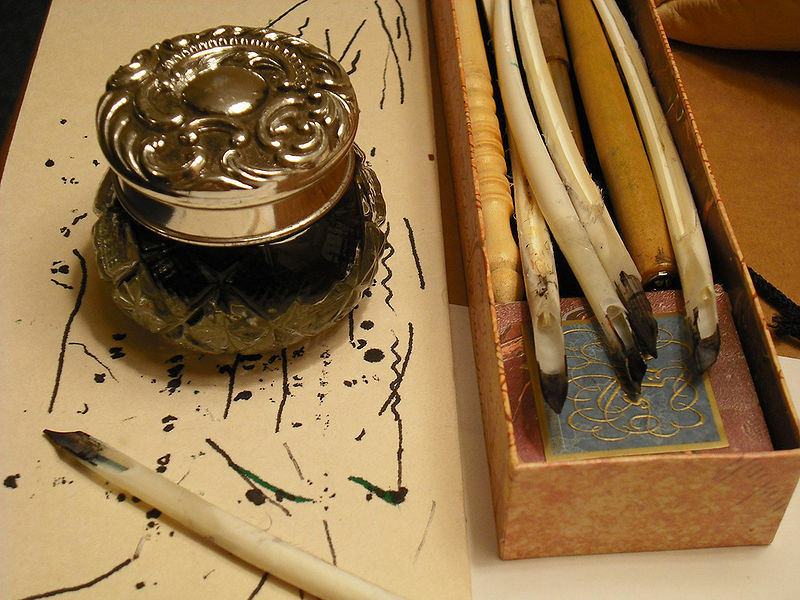 There are different types of pens for different style of writing. Pens and pencils can be customised also with the names of the child. Attractive cover pages, ruled, blank pages, boxes of different sizes, notebooks of every subject, a variety in terms of size and number of pages and so on. There is an endless variety in the notebooks that we get in the market today. From backpack bags to trolley bags, cute cartoon prints to animal faces, ranging in various sizes and can be customised too. 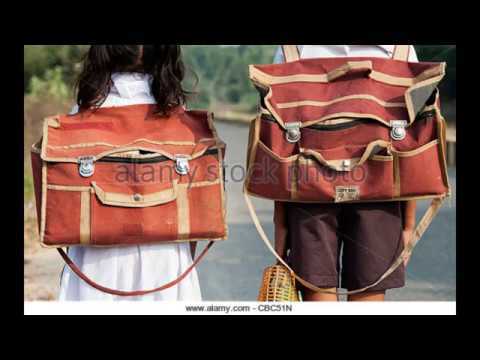 School bags have come a long way and undergone tremendous changes during this time. Not only educational tools and equipment even educational system itself has undergone tremendous changes. 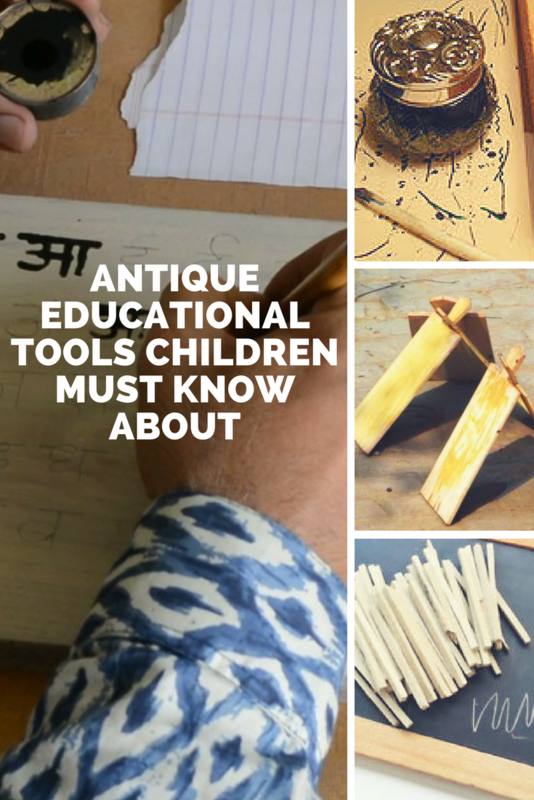 The classrooms now have interactive smart boards and students study on tablets but when we talk to our parents, they really had fun even with those limited and modest tools and equipment. The takhti, qalam and dawaat have loads of memories attached with them. So much has changed not just from our fathers generation even comparing from our own generation everything we used are slowly disappearing .That school bag still makes me feel like going back to school. I do wish my kids to carry a lighter bag. Such an interesting post to read! You always come up with such wonderful ideas for your posts…. You took me down to my childhood days when we used to enjoy these simple things in our life. I am sure our kids must know about them too. It was fun writing on a slate. I got it for my kids and they are having fun with it. What a wonderful post, Vidhi. Indeed the entire educational system has changed- right from tools to methodology. It’s best if the changing system is only for the better and suits the time we live in. Your post made me nostalgic. Our kids are not at all aware of all these words. I will show them your post to let them know of the way it was in olden days. I actually bought slate and slate pencils for my kids and they are loving it. This post made me nostalgic especially the basta and slate. I wish I could show these things to my son too. This is such an interesting post! What made you look into this? Your post made me nostalgic. I remember how fondly my grandparents shared their school stories from their times. And they would cringe looking at our thick books and heavy bags. This post made me nostalgic. Specially the picture with those bag with a width. I remember as a very very young child I carried them to school for a very little time. It was a very lovely read.